Job-seekers....Don't be Afraid of Change. 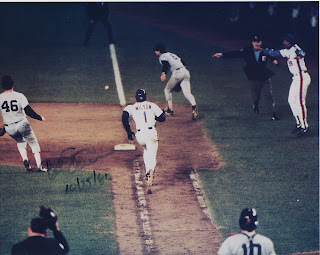 Do you Job Search like Bill Buckner? Ok…I admit it. I am a huge baseball guy. You may even call me a baseball geek. It’s early February and I’m already wondering how close we are to having pitchers and catchers report to MLB training camp. (Seven days or so in case you are wondering). Are you out of your mind-set? So Happy Holidays to everyone. While typically I like to discuss hiring tips and techniques directed more towards hiring managers than job seekers, I’d like to go a little different route this month, and focus these remarks towards job seekers. Let’s face it, at some time or another….we are all job seekers. The reality for most people is that whether you are a job seeker or a hiring manager, you probably don’t like to interview. Yes, I’m referring to both being interviewed and conducting interviews!